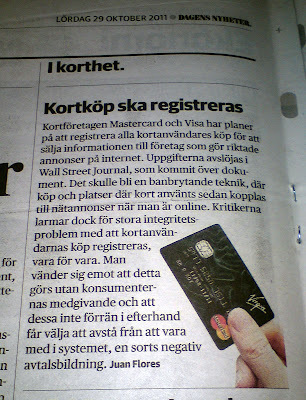 However, regarding real threats in "Cyberspace", Dagens Nyheter and Wall Street Journal report that Visa and Mastercard companies secretly plan to register the detailed shopping of all their card-users for further selling such personal information to the rest of the commercial corporate world. No wonder Visa & Mastercard have declared transparency champion Wikileaks their archenemy, seeking its economic strangulation. The decision from the Judges in London on Sweden's extradition request of Wikileaks founder Julian Assange has been announced for November the 2nd. 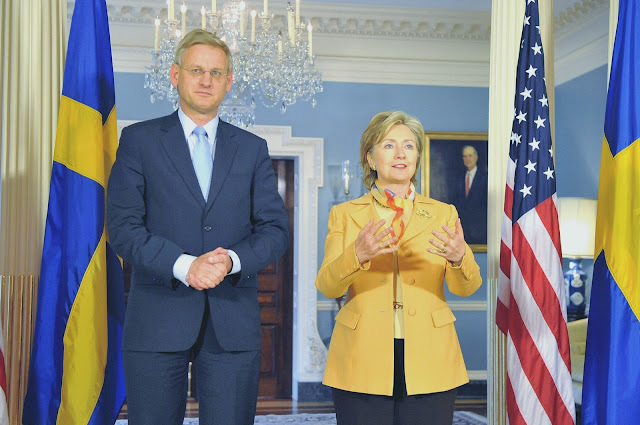 This occasion coincides with a Cyberspace conference in London hosted by the Foreign Office  where the Foreign-Affairs ministers of USA (at last moment replaced by USA Vice President), Sweden and UK shall meet. Coincidentally? Although - strategically considered - the political survival of both Wikileaks and its founder Julian Assange is historically symbiotic, the funds crucially need by their organization are not meant to serve Julian Assange’s defence budget. As Wikileaks pointed out recently, the financing is aimed to sustain the cybernetic struggle of Wikileaks for government transparency and against corruption and power abuse. This opus has already inspired historically relevant political revolutions in favour of human rights in the Third World. The event, gathering the foreign ministers of Sweden, USA and UK has been announced as a London Conference “on Cyberspace” and with the following manifested agenda: "How can cyber crime be prevented and pursued more effectively?" One question is, what is "cyber crime" for those governments, what is the including, respective excluding criteria in defining cyber crime? We already know that - as seen by those governments - main cyber “criminals” of this very epoch are such type of cyber-experts organizations, the commonly named "cyber hackers". Also are regarded, as committing criminal acts, are those young people, economically disadvantaged, which have occasionally downloaded a song from the Internet. One other thing we seriously regard is that terrorism, as crime or behaviour, should and has to be fought by all of us in society. And every decent person has a clear notion of what terrorism is. But, is terrorism the cyber whistleblowing intending to disclose aggravating illegal infringements on human-rights from the part of governments? Has not Julian Assange been referred as "Cyber terrorist"  through highly publicized reports and TV programs? Looking at the program of the Cyberspace conference I found some undoubtedly positive initiatives, and the organizers provide a discrete list to fill the cyber-crime concept, such as "steal identities, ideas and designs” or “defraud government", etc. Yes, "defraud government", but NOT "protect citizens from government, corporation or institutional defraud"! On the other hand, Wikileaks has given to the modern world the best answer to war. 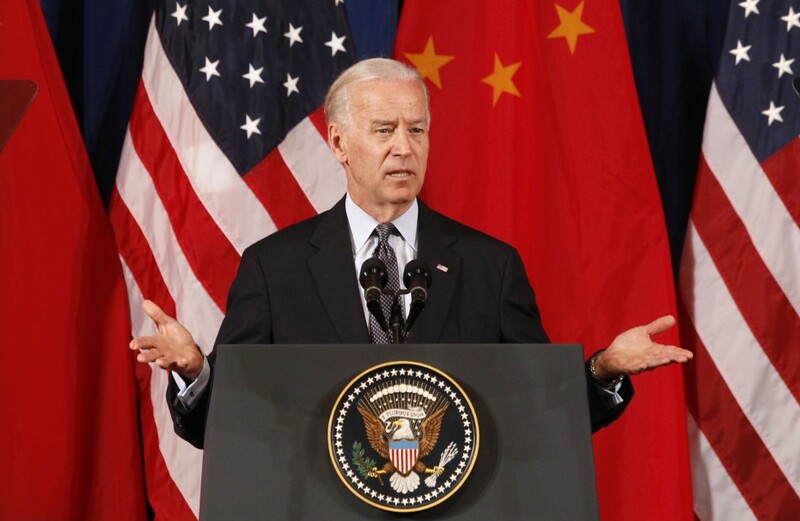 Deflate conflicts by making international politics more transparent. It is not about an armed Deterrence, and it is not only about civil disobedience. It is about active alerting on corrupted politics, on covering-up journalists, on subservient or marionette governments. But is also about pointing to the core of the belligerent conflict, i.e. its origin: corporate profit and profit development, the corporate-establishment's greed lebensraum. Reflecting in what Carl von Clausewitz once formulated, that war is the continuation of politics “by other means”, it would be as correct to state that politics – certainly international politics and “foreign affairs” - has become “by all means” the continuation of the economic agenda serving the multinational corporate establishment. The information is cashed as shopping behaviour or customer preferences. The article in the Wall Street Journal informs that a report prepared by Mastercard sums up the concept, “after all you are what you buy". 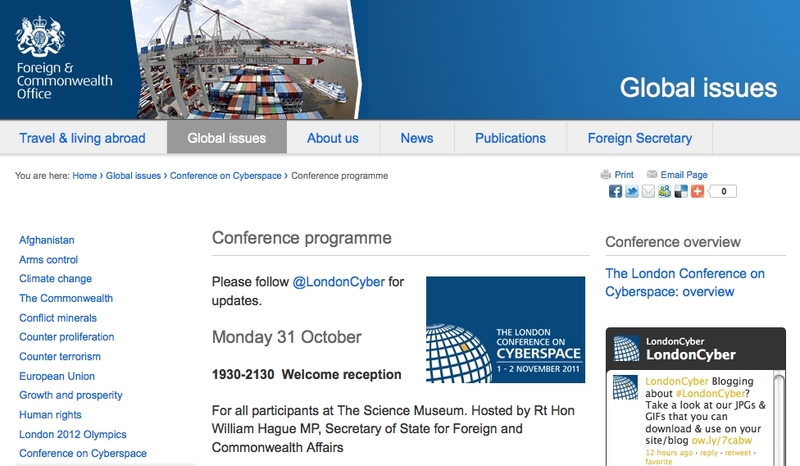 In the context above, the London “Cyberspace” Conference - conveying the foreign ministers involved in the extradition process against Wikileaks founder Julian Assange – shall study as principal theme (Part I of the Conference), "Economic Growth and Development - Realizing the benefits of a secure cyberspace for international economic growth and development and use of cyberspace as a prosperity multiplier." 2. M. Ferrada-Noli, "Swedish psychological warfare against Wikileaks and Assange". 3. Timoty Lawson, "WikiLeaks threatened by bank blockade, seeks to resist". 4. M. Ferrada-Noli, "Professor: Medierapporteringen om Assange är osaklig och likriktad". Newsmill, 20 February 2011. 5. Jason Charles. Pentagon Labels Journalist Julian Assange a 'Cyber Terrorist' Forces Interpol Warrant. 7. M Ferrada-Noli, "The Swedish political crusade against Assange and Wikileaks", Newsmill 11 January 2011. 9. 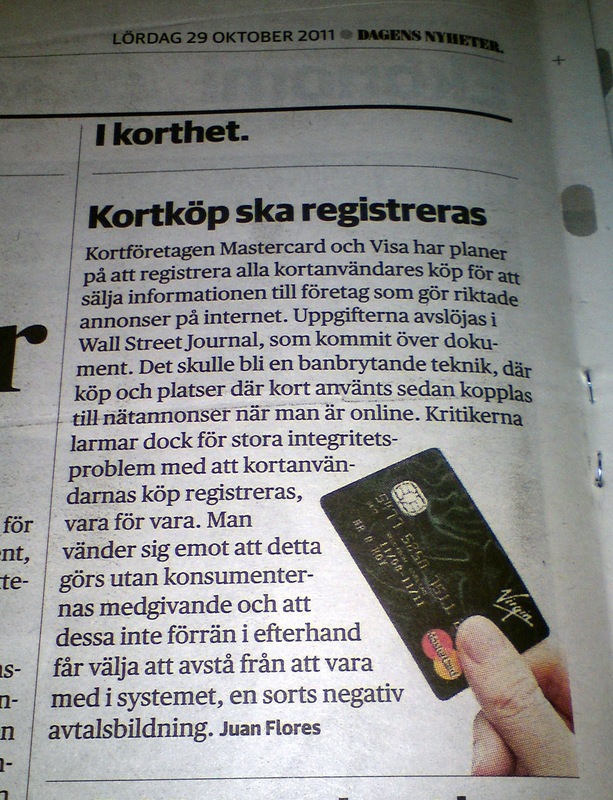 Emily Steel, "Using Credit Cards to Target Web Ads", Wall Street Journal, 25 October 2011. The Swedish foreign minister Carl Bildt will also meet Edward Lucas - International editor of the Economist according to his Twitter account. 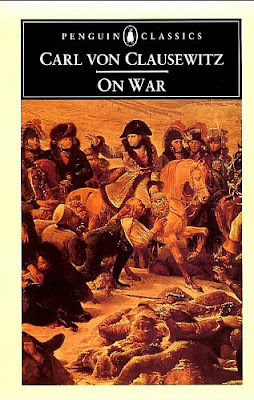 'Reflecting in what Carl von Clausewitz once formulated, that war is the continuation of politics “by other means”, it would be as correct to state that politics – certainly international politics and “foreign affairs” - has become “by all means” the continuation of the economic agenda of the multinational corporative establishment.' Well put.